Taking advantage of Google Ads is a great way to market your business. It allows you to drive traffic to your website without having to play the long game of trying to get your website to the top of Google’s ‘organic’ listings. Having said that, it is an extremely easy way to waste money if you don’t plan out and set up your campaign well. That’s why we’ve put together this simple guide, including our top tips on setting up a successful Google Ads campaign. Let’s start with the real basics in case you are totally new to Google Ads. Want to get straight to the tips instead? Just click here. From this Google search for ‘running shoes’ you can see that the two results below have “Ad” just underneath their listing. These are Google Ads that these businesses have paid to be shown in this location. The overall ‘quality score’ of the ad and the page it directs visitors to. (Quality score is a whole different ball game, so here’s a quick article if you want to read up on that). So why run a Google Ads campaign? You have a marketing budget available and want to grow your business/sales more aggressively, without relying on slowing increasing your organic Google rankings. You are running a specific offer or marketing campaign. 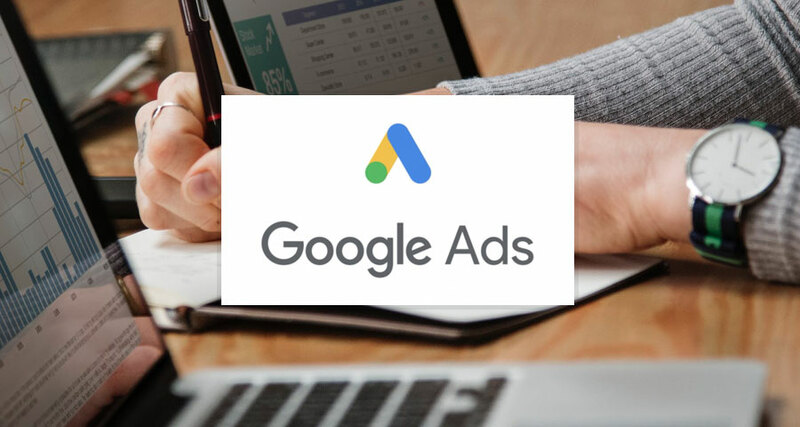 So, if all this sounds like something you think would be advantageous for your business, let’s dive into our tips and recommendations when it comes to setting up a successful Google Ads campaign. Google has probably made countless millions from overkeen business owners or marketers rushing in and creating Google Ad campaigns without doing their research and consequently wasting a couple hundred pounds or dollars. Our advice to you? Don’t run in all guns blazing and start throwing in key phrases and writing ad copy in Google Ads right away – it pays to take time to step back and think first. Who is your audience and what is going to appeal to them in an ad in order to make them click? How can you incentivise your offer? This might be through free delivery, a discount code, or a guarantee. Does the page you are directing people to on your website mirror the offer in your ad copy? Also, what are you comfortable spending daily/monthly? From our experience, it needs to be a fairly decent amount in order to see results. BUT, make sure you set a daily budget in case you do forget to check in on your Google Ads, or get something wrong, you haven’t wasted a lot of money. 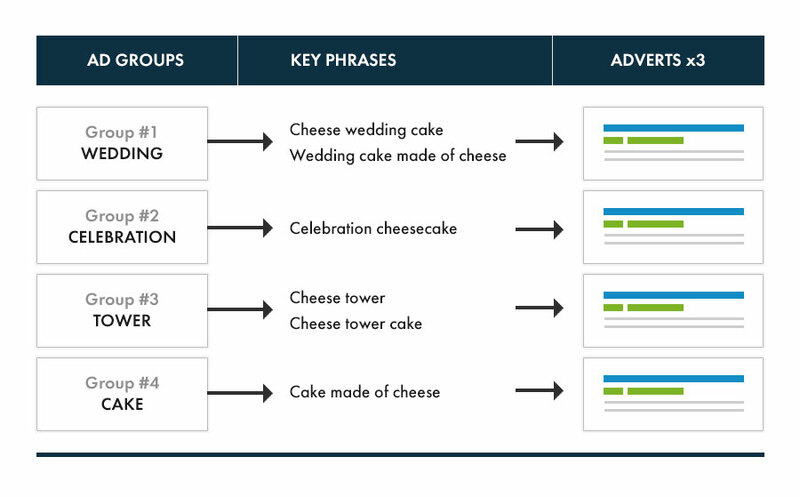 Research pays dividends when it comes to the key phrases you want to get found for. You need to research the popularity and competitiveness of the key phrases you want to target – if no one is searching for them, then you won’t get many or even any clicks, and will have wasted your time. But on the other hand, you don’t want to go up against the big boys who will have more money to throw at their ad campaigns, so you need to be smart and look for opportunities targeting key phrases with slightly less competition and lower costs. To do this you can use Google’s Keyword Planner to research the competitiveness and potential costs of the key phrases you want to target. A well organised Google Ads campaign is usually a successful one because it’s easy to manage – it will also save you money too. Ad groups are really important as they allow you to group sets of similar key phrases together with the adverts that are relevant to them. This also allows you to more easily see how your ads are performing and then adjust them as necessary without everything in the same place. Now, when you write the copy for your actual ads you can be sure to use language that mirrors your key phrases. Also, only create 3 adverts per ad group – this gives you a good chance to see which ads get the most clicks. You can then come back after one week’s worth of data, pause the worst performing ads and throw a new one into the mix to see if it beats the others. Rinse and repeat until you’ve got some high-performing ads. Another tip for beginners is to use the ‘exact match’ modifier on your key phrases in order to not waste money. To do this you wrap your keyphrase in square brackets, like this; [your key phrase goes here]. 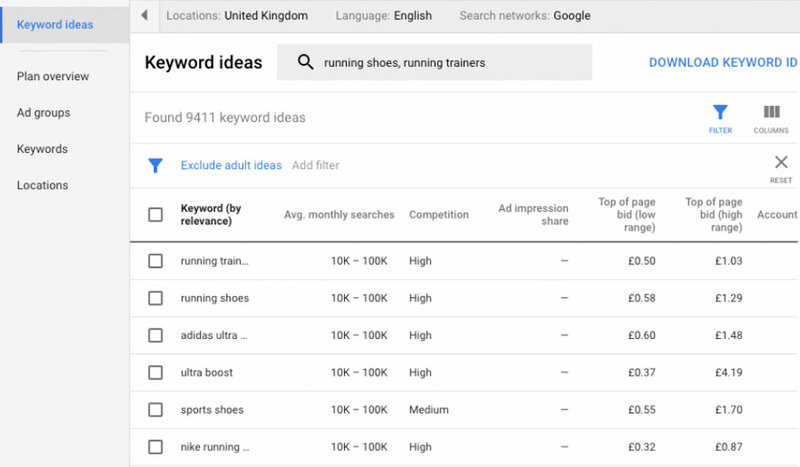 This means that if you are targeting the key phrase ‘nike running shoes’, someone has to type that key phrase with those exact words (although not necessarily in that order) into Google in order to see your ad. 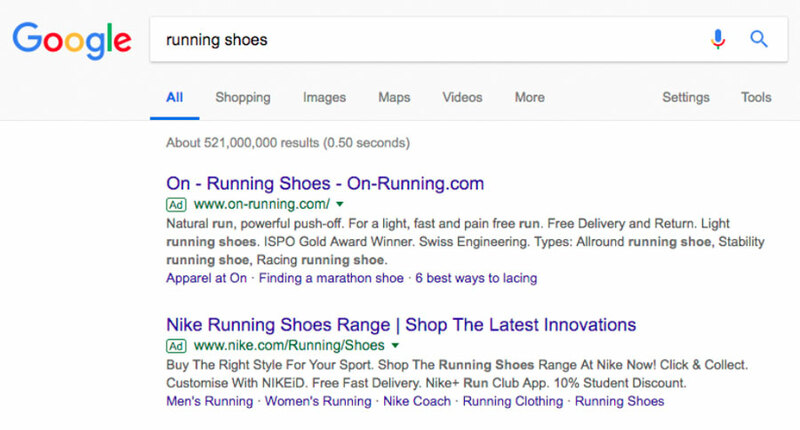 If you don’t use an ‘exact’ match, someone could type a search with ‘nike shoes’ and potentially see your ad. If your website only sells running shoes, then high chances that person will leave your website and you’ve then wasted money on them clicking your ad. Continually checking in on how your actual Google Ads are performing is only half the job. You need to be measuring the performance of the page you are directing visitors to on your website too, as you might not be seeing conversions because of issues on your site itself. We always use HotJar and Google Analytics. HotJar lets us record where people click on the page and also record users as they navigate around a site once they click on an ad. You can learn a lot from this and use the data to make informed decisions about improvements to your landing page or site. Google Analytics is key too as you can set up goals in order to work out your conversion rate percentage. Here’s an article to explain how you can set up conversion tracking in Google Analytics. As we mentioned at the start of this article, it’s easy to waste money on Google Ads if you don’t monitor it closely, so make sure you check in regularly! We’d recommend looking at your Google Ads campaign data twice a day to see what the CTR (click through rate) is for each of your ads, and whether you can spot any opportunities for improvements. When you first start your campaign we’d advise not changing anything for a reasonable amount of time as you want impressions and clicks to build up. It’s difficult to recommend an exact time as each campaign will be different – just use your intuition. As far as actually making small tweaks to your landing page or the website itself, again you need to make sure you’ve got a reasonable amount of data. We’d also recommend making small changes and then testing again to see what effect they had. Be sure to check in on your ads regularly and you can’t go far wrong. Once you’ve done all this and set up your first campaign there is so much you can do to optimise it, but we’ll leave that for another article. A properly run and managed Google Ads campaign can generate a lot of money for your business – you just need to know how much you’re spending per conversion and from there you can work out what sort of money you might need to invest to get the number of customers / leads you need. If you’ve got any questions about Google Ads we’ll do our best to help, so feel free to contact us to get in touch.